Photo of: Midlands of Ireland: Kilkenny: Graignamanagh. 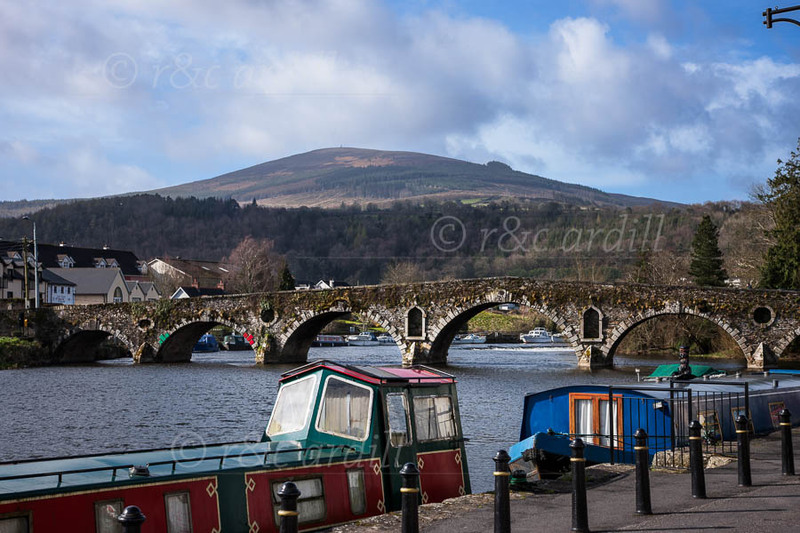 A view of Graignamanagh bridge on the river Barrow. Brandon Hill is in the background. There are some fine barges moored here ... many of which are inhabited year-round. The Barrow was once an important highway. Graignamanagh (or Graiguenamanagh) comes from the Gaelic Graig na Manach, meaning 'village of the monks'. It is home to Duiske Abbey, one of the finest Cistercian abbeys in Ireland.